Perfect Blogging criteria to leverage blogging technology to common bloggers and entertainment technology for free. 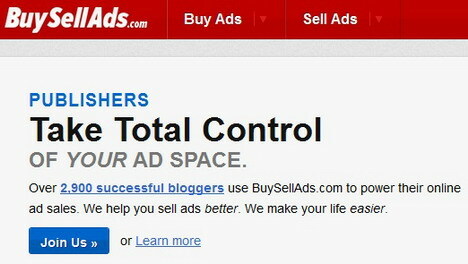 Bloggers and webmasters always in hunting high paying ads networks.All most all professional bloggers and webmasters'first choice is Google Adsense but it is known to all that Google Adsense has very strong terms and conditions so only a few bloggers and webmasters can obey the full terms policies of Google Adsense.There Today I am trying to find out Top paying Ads networks via which bloggers and webmasters can monetize their blogs or website to contiue their online presence.Here is a list of the Top 12 CPC & PPC Advertising Networks For Professional Bloggers & Webmasters to monetize their blogs and websites. The most popular CPC network is Google Adsense and even though there are other CPC networks,the income you can make from Adsense is much higher.The reason is that Google Adsense has many advertisers and if your site is in a profitable niche,CPC can be the best way to monetize your site.Additionally,unlike some of the other CPC ad networks,Google Adsense is open to publishers from all over the world. 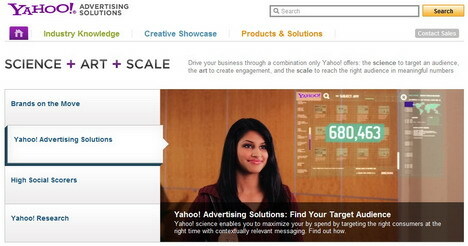 Yahoo(through the acquisition of Overture) invented sponsored search in 1998,and it has grown at a record-setting pace.Yahoo has continued to drive the category as a market leader and innovator,with industry-leading distribution and advertiser scale that generate superior network benefits and economics for business partners. 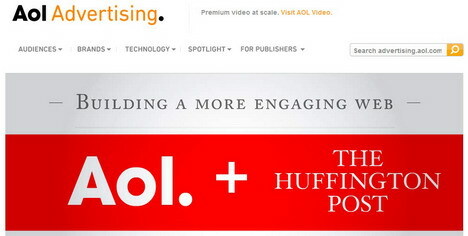 AOL Advertising provides advertisers,agencies and publishers with the most powerful, comprehensive and efficient online advertising tools available anywhere.The 80+ original brands available through AOL Media offer our clients unprecedented media placements,deep integration and eye-popping creative executions.Industry-leading network, Advertising.com,helps advertisers reach highly-targeted audiences at scale,and helps publishers maximize revenue.And our unflagging commitment to research gives clients the insight they need to make the most of their media buy.For success online,it's all right here. Chitika offers publishers & advertisers user targeted,search targeted,mobile and local ads for websites,blogs,apps and mobile sites. BSA was started for one reason to make buying and selling ads incredibly easy.But since then, it was evolved to mean much more for publishers and advertisers alike.They operate one of the largest advertising marketplaces on the Web, serving well over 6 billion ad impressions each month.Their approach is unique,genuine,and transparent,that is why thousands of advertisers and publishers love doing business with BSA. 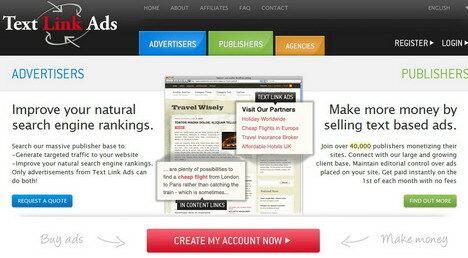 Text Link Ads is the premiere targeted traffic and link popularity ad firm.They are specialized in placing static html links on high quality,high traffic web properties.Their clients have seen a dramatic increase in targeted traffic,brand exposure,and organic search engine rankings with our service.They currently work with a wide range of clients from Fortune 500 firms to individual website owners. Clickbooth provides partners with a progressive full-service management platform dedicated to optimizing revenue generation for both its Advertisers and Publishers,delivered in one convenient package. Tribal Fusion is a global online advertising provider that drives sales for the world’s top brands by helping them learn about,reach and engage their online audiences more effectively. 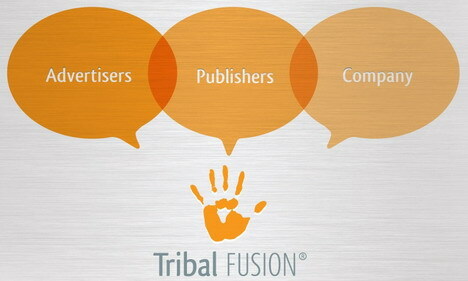 Tribal Fusion reaches almost 500 million monthly unique users,was founded in 2001 and is part of the Exponential Group of online businesses,a technology-enabled media services company headquartered in Emeryville, California with operations in 37 locations worldwide. CPX Interactive monetizes inventory for publishers ranging from the most high profile destinations,to those"best-kept secrets"that quietly deliver the highest ROIs. 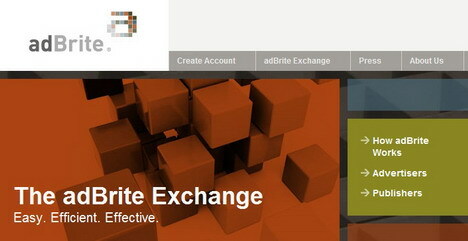 AdBrite is the largest independent ad exchange, reaching 300 million global unique visitors every month,including more than 150 million in the U.S. With site-level transparency and an open platform for data providers and real-time bidders to plug into,we maximize selection and control for advertisers and publishers. Leveraging first- and third-party audience data for advanced targeting is dead simple,and results can be closely monitored through our superior real-time reporting and analysis. Clicksor.com is one of the most cost-effective ways to reach your targeted customers.You determine search terms(keywords)that are relevant to your website’s content,and then select the bidding price to rank the placement of those keywords.The higher your keyword is ranked,the more likely that qualified prospects will visit your site and buy your product or service. Established in 2007 and backed by Primera Capital.Advanced internet technologies with advertising strategy and extensive buyer-behavior analysis to bring premium advertising to pre-screened websites and blogs worldwide. 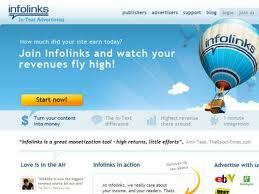 Advertisers reach global markets with local precision, via 300 million unique views across 50,000+ premium sites that work exclusively with Infolinks. My 8 years experience in blogging says that all the networks have some plus points and minus points too.A few have been showed fruitful results for me and rest are still nothing have done for me till date.I have no recomndation because some factors are special for any website and blog such as like niche,traffics tier country,content category etc.So choose yourself the best for you. You really make it appear really easy along with your presentation but I find this topic to be actually one thing that I believe I’d by no means understand. It kind of feels too complex and very vast for me. I’m having a look ahead in your next put up, I will try to get the hang of it! CPC and PPC are very confusing terms for new bloggers !! But you have listed some good sources to generate huge revenue ! !